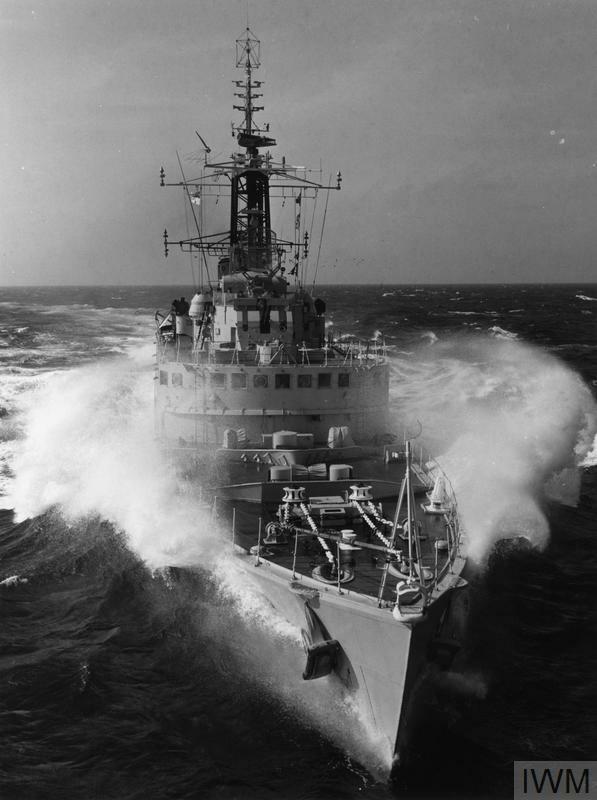 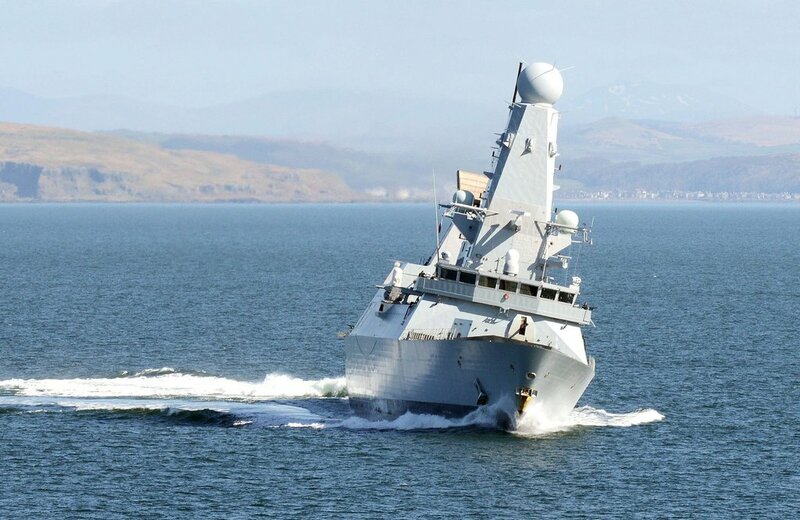 HMS Plymouth, a type 12 enjoying the rough stuff. 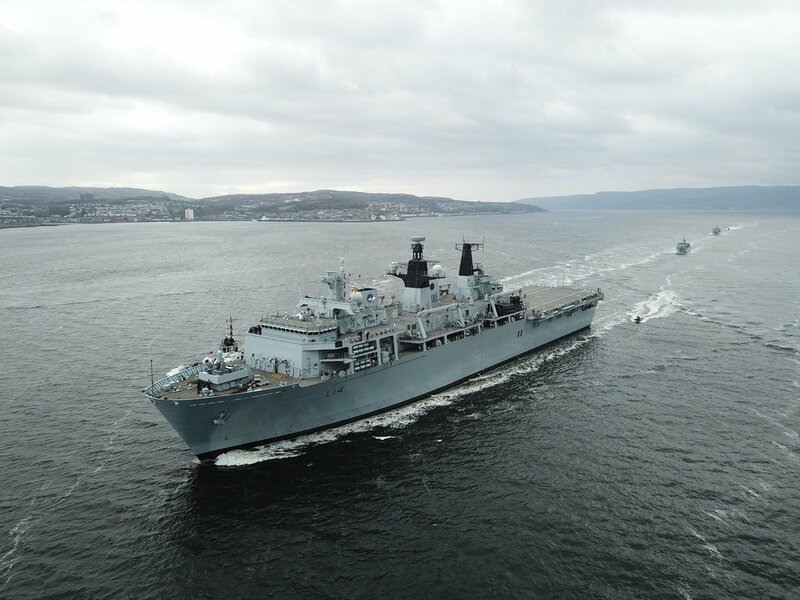 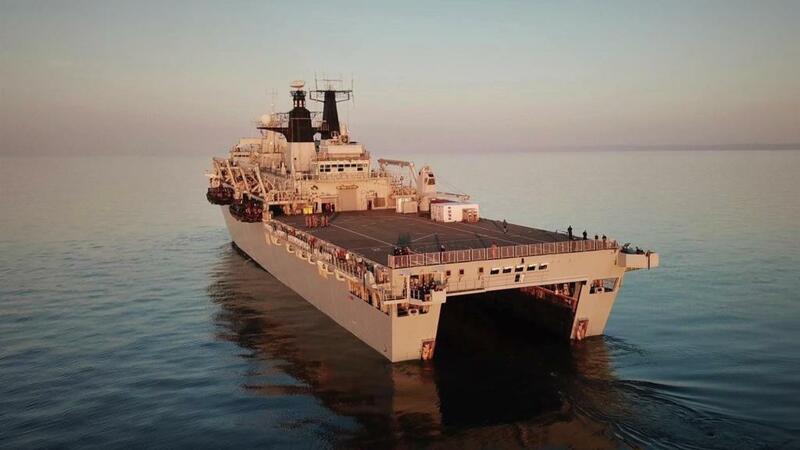 Manchester topping up from an RFA. 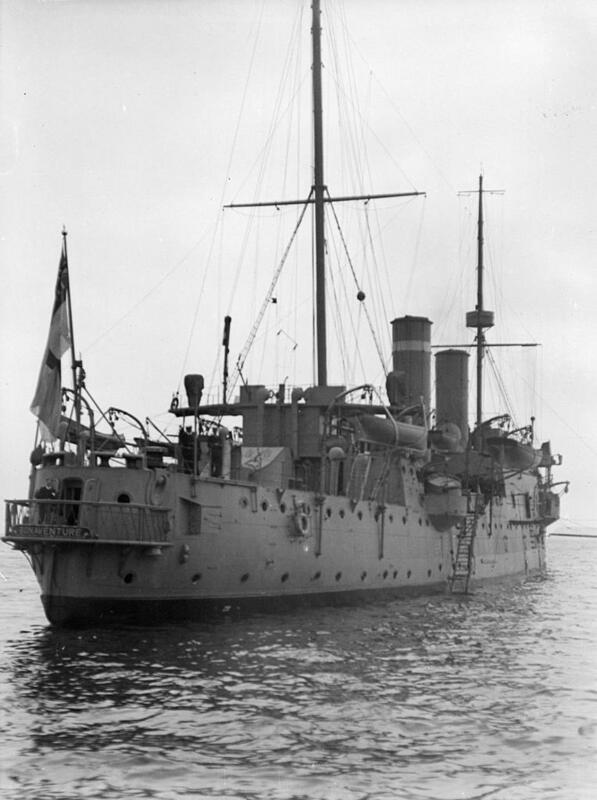 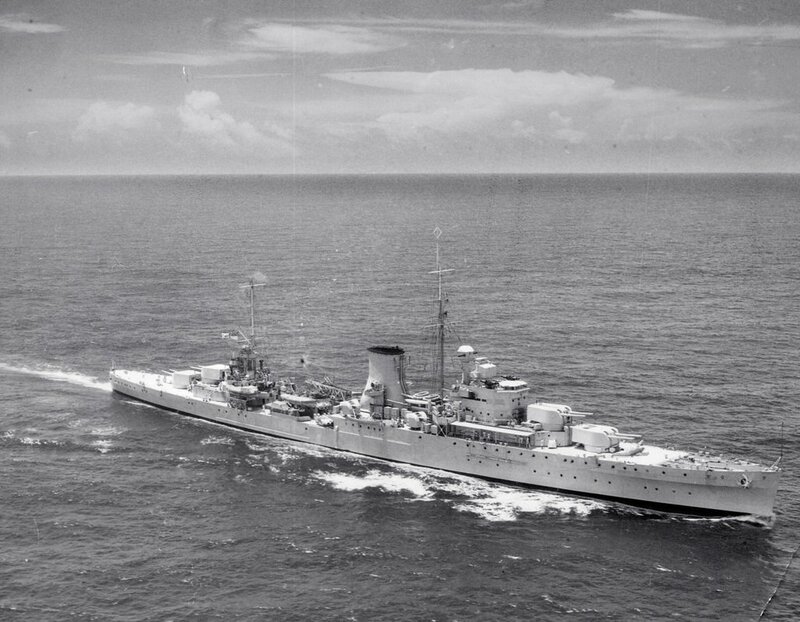 Leander-class light cruiser HMS Ajax, a veteran of the Battle of the River Plate, the Battle of Crete and the Battle of Malta. 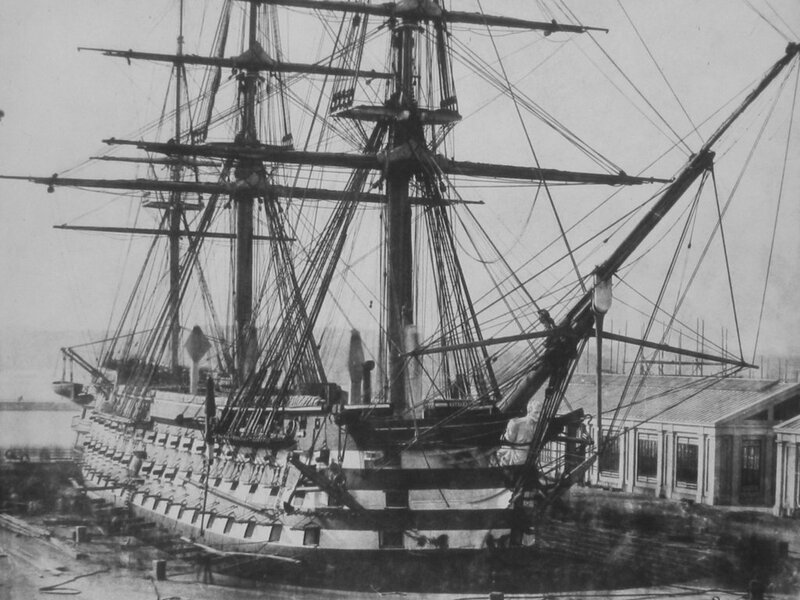 Steam Ship of the Line HMS Duke of Wellington, drydocked at Keyham, Devonport Dockyard, March 1854. 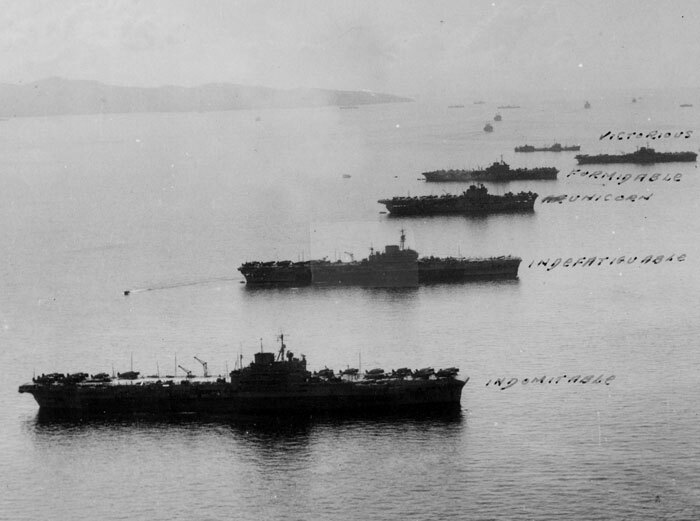 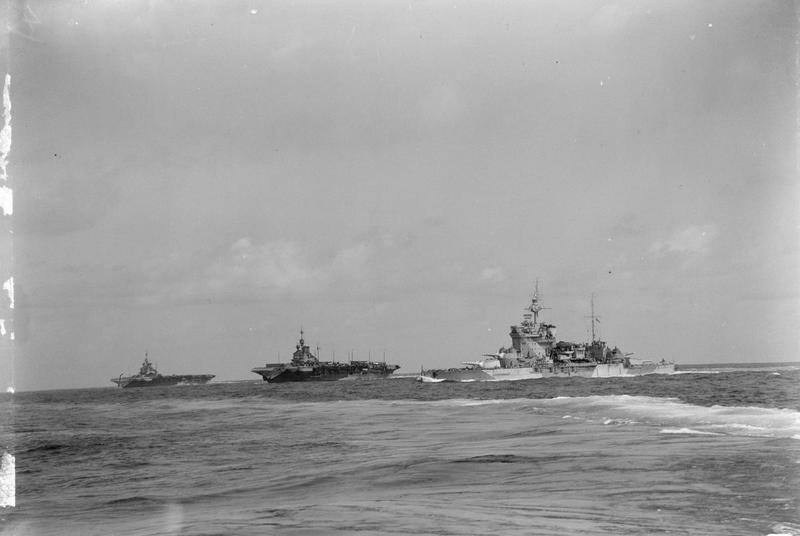 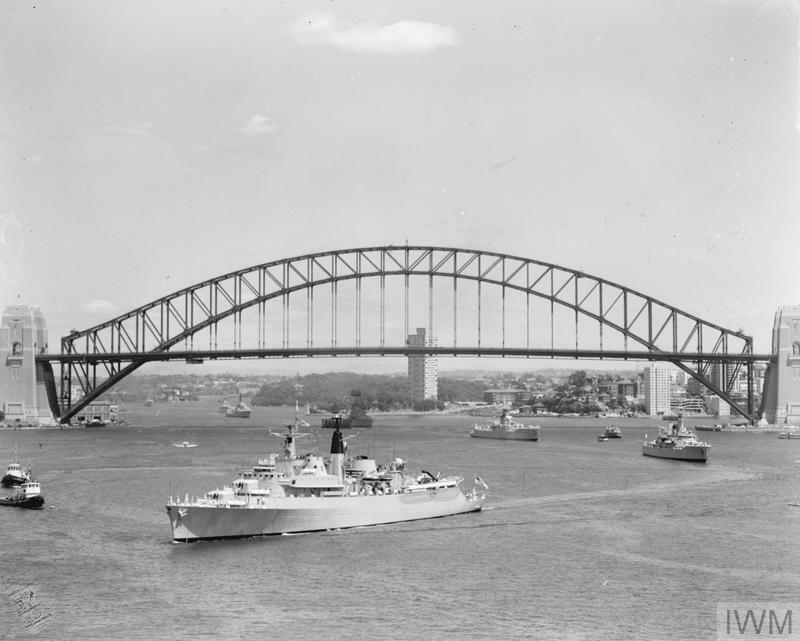 From HMS Mauritius, operating with the Eastern Fleet, July 1942: Ships of the Eastern Fleet, left to right: HMS Illustrious, HMS Formidable, HMS Warspite. 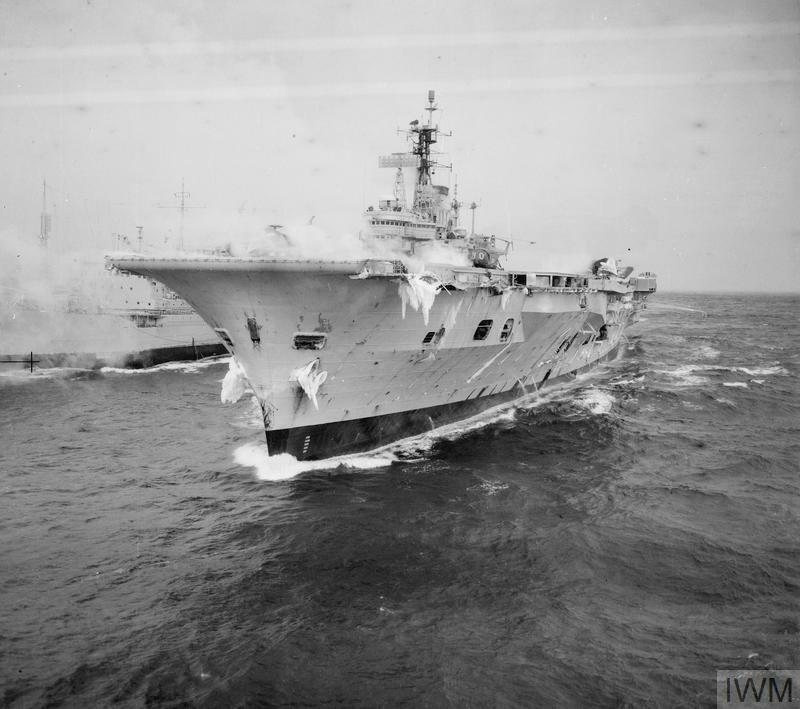 HMS Ark Royal during 1961 arctic trials, with ice and snow decorating her superstructure. 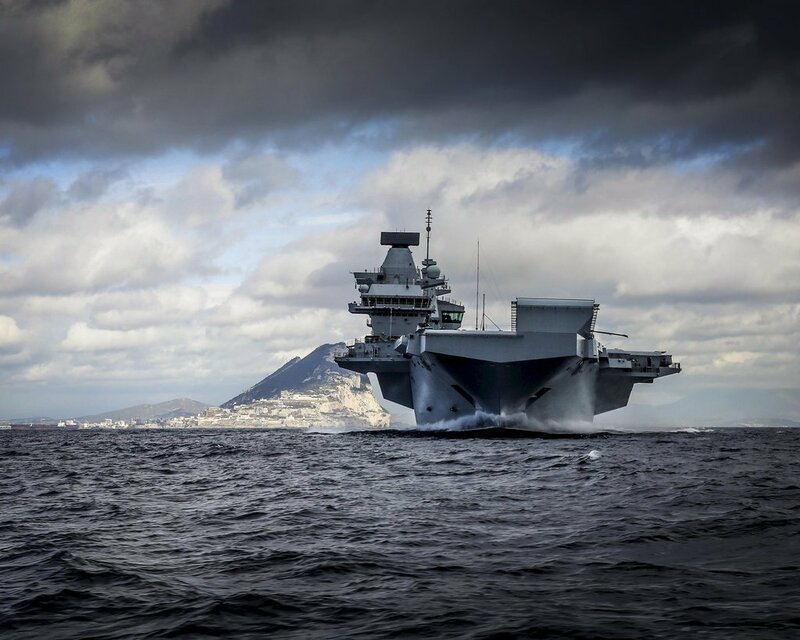 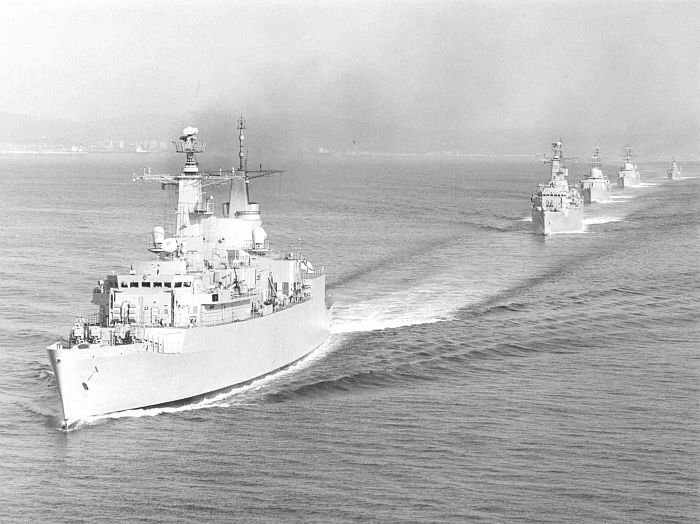 Exercise Springtrain 82, these ships shortly thereafter cut short their exercises to head south, bound for the Falklands, not all would return. 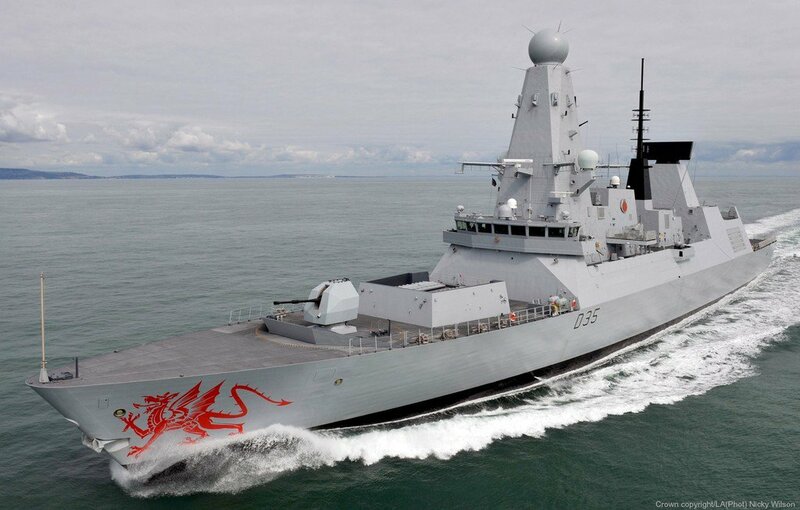 Last edited by MikeJames on 14 Apr 2019 20:00, edited 1 time in total. 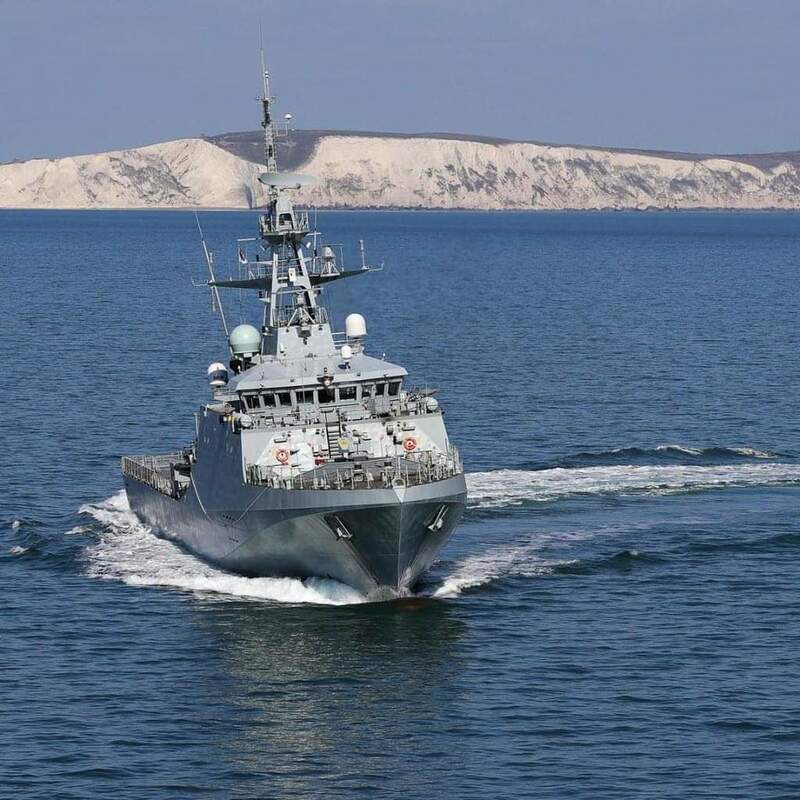 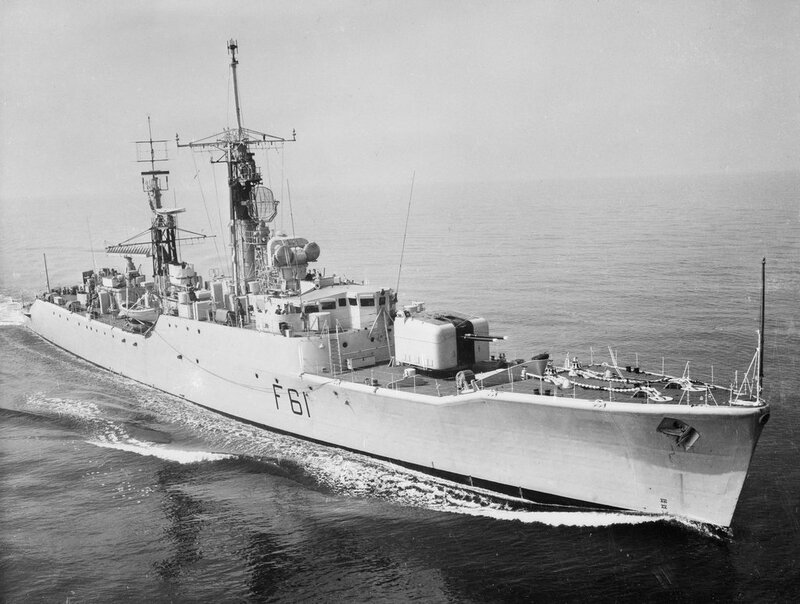 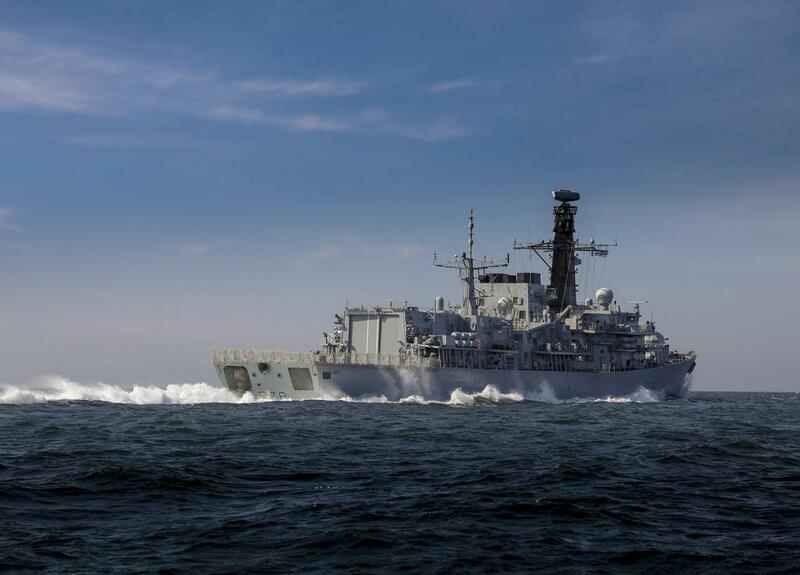 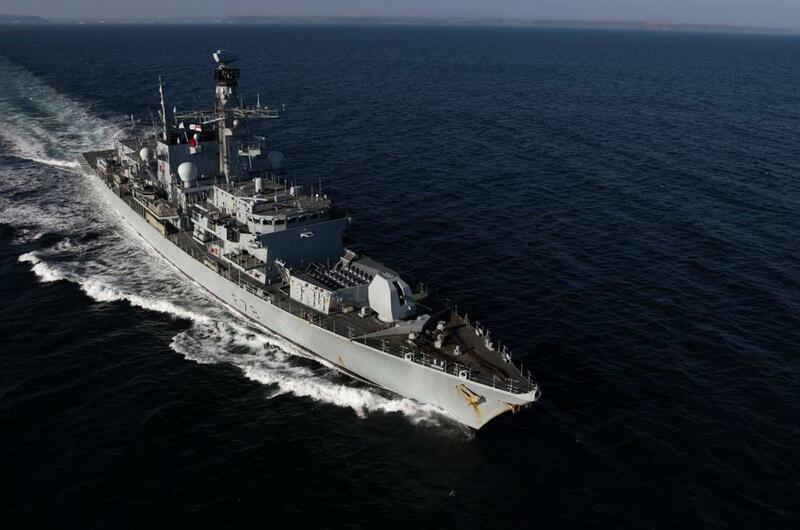 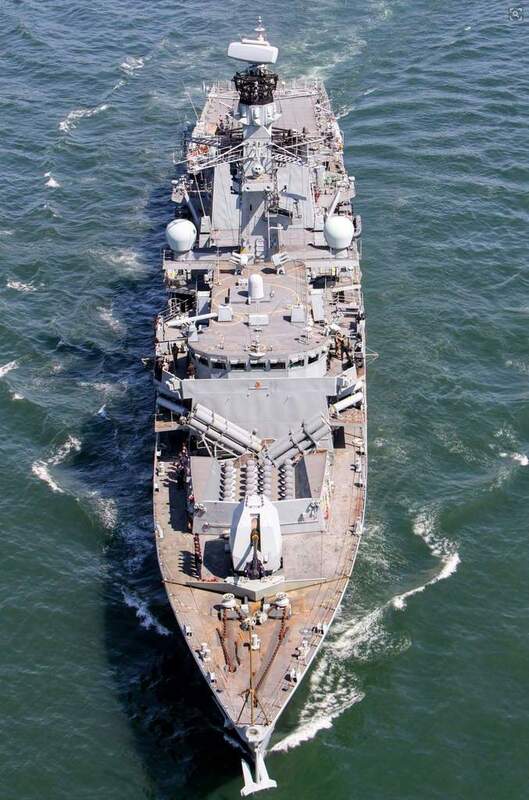 Salisbury-class or Type 61 aircraft direction frigate HMS Llandaff underway at sea. 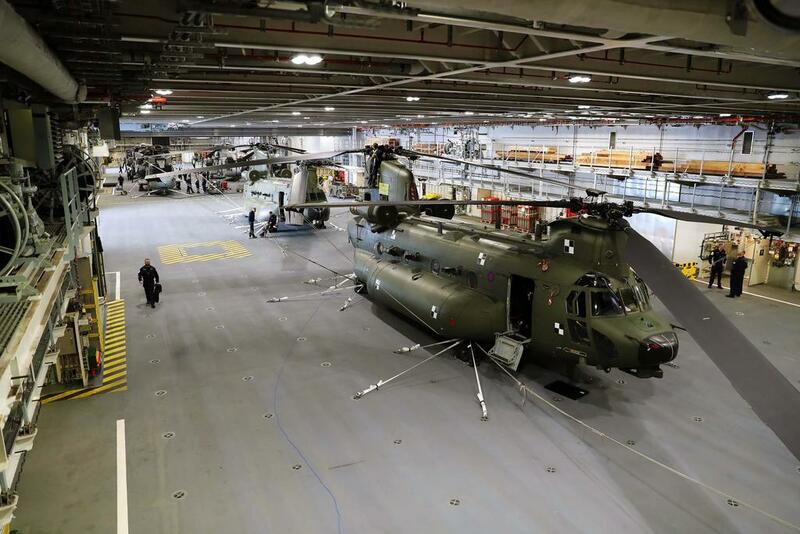 Chinooks and Merlins inside the hanger of HMS Queen Elizabeth. 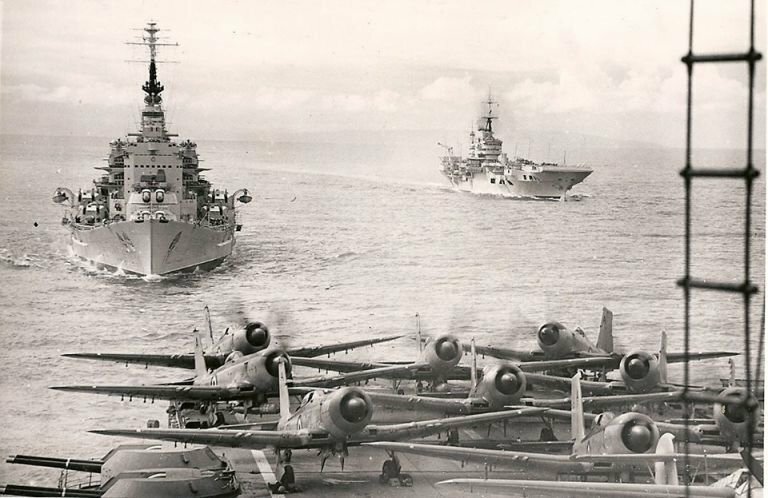 HMS Vanguard and HMS Indomitable, taken from HMS Implacable.